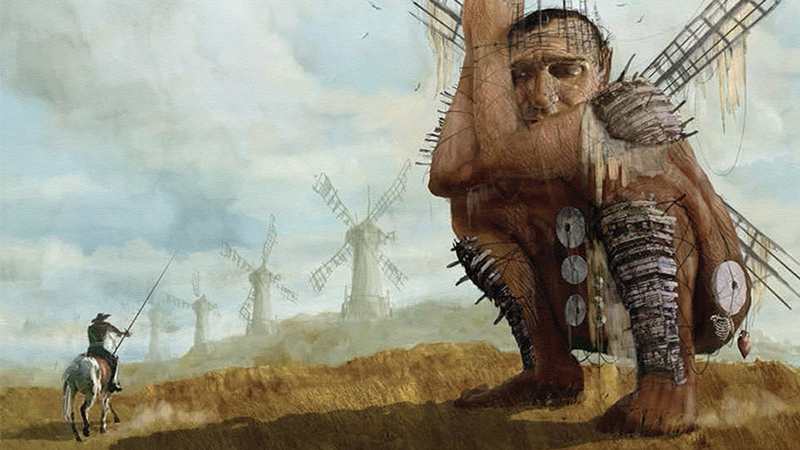 Monty Python founding member and auteur Terry Gilliam‘s first attempt to make a movie based on Miguel de Cervantes‘ Don Quixote ended in disaster shortly after going into production in 2000, as chronicled in the documentary Lost in La Mancha. Gilliam moved on to other projects in the years that followed, but announced plans to reignite The Man Who Killed Don Quixote in 2008, minus original cast members Jean Rochefort as Don Quixote and Johnny Depp as Sancho Panza. Gilliam pushed ahead with a second attempt and was in talks with Robert Duvall to play Don Quixote, but he was never able to find a suitable Sancho Panza — or, more accurately, his faux Sancho Panza, since the story revolves around a 21st-century advertising executive who travels back in time and meets Don Quixote, who mistakes the executive for Sancho Panza. In a 2011 interview with Vulture, Gilliam revealed that continual problems securing money and the lack of progress had made him “actually quite tired of the whole thing,” even though The Man Who Killed Don Quixote was still “the best script” that he had. Based on a new tweet, it appears Gilliam’s “best script,” which he wrote with Tony Grisoni, got a little polish recently and the project is still alive.